I am an advocate for a healthy lifestyle. I try to break a sweat daily and I eat a relatively clean and balanced diet. I try to focus on my mental health by meditating and practicing yoga even if it’s 15 mins in my closet on my makeshift mat before I start a chaotic day with a toddler. Yet, despite my best efforts—I recently learned that I was making a huge mistake with my body. In all of this detoxing and healthy living, I was “re-toxing,” poisoning and completely ignoring my largest organ— my skin. On a daily basis, we use products like sunscreen, lotion and soap that are all created with remnants of chemicals directly linked to Cancer, Infertility, early onset puberty and many other deadly diseases. As toxic as this sounds, they are marketed and sold to us without inhibition. Decades of studies indicate that serious health issues (including but not limited to asthma, cancer, and infertility) are on the rise and are due in part to our ongoing exposure to toxic chemicals. Whether it's in the shower, on our commute, when we eat lunch at a local restaurant or while we are cleaning our kitchens at home —we are being exposed to over 80,000 chemicals still on the market today. Many do not include any safety data and this is particularly true of those used in the skin care and beauty industry. Women should KNOW what ingredients and chemicals are being used in the personal care and cosmetic industry are infusing in their products. They are simultaneously marketing them as “healthy” and “natural” for us to put on our bodies and on the bodies of our precious loved ones. What is worse is that the Food and Drug Administration (the agency that regulates cosmetics in the United States) does not have the authority to remove the harmful ingredients before we place them on our skin and our children. The government seems to have dropped the ball on more than one occasion when it comes to protecting citizens from toxic chemicals that companies are allowed to use. I disagree that they should be allowed to make their own judgements about safety or lack thereof. In reality we are the only ones that are going to protect ourselves . I deserve better, my son deserves better and my family deserves better. This time, it's personal and instead of getting mad and complaining, I partnered with a company that not only provides high performing products (because I still want to look and feel amazing) but, their ingredients are safe and free from toxic carcinogenic chemicals. We are forcing the cosmetic industry to be accountable and disclose the ingredients in their products or simply formulate safer. "The Never List™" is a quick reference guide for the top used and most dangerous chemicals found in personal care products and cosmetics. I urge you to take a moment to review the ingredients of some of the products you are using daily. I’m not saying you have to switch everything all at once but there is nothing wrong with taking a gradual approach to removing some of the toxic products in your skincare/beauty regimen. If you need help replacing those products with others that are safer yet still functional —visit my BC website by clicking HERE. 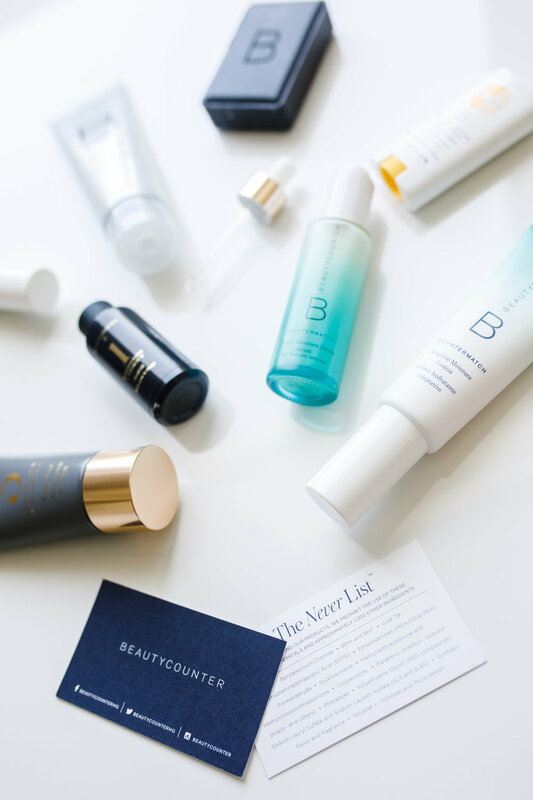 We can help you secure a safer skincare routine. Also! For my mommies, BC has plenty of products catered to our babies and our minis. TAKE 5 MINS to investigate the ingredients list of some of your personal care products and cosmetics. Ethylenediaminetetraacetic acid (EDTA)-a common carcinogen used in cosmetics and personal care products, these ingredients are widely used and can be found in moisturizers, skin care and cleansing products, personal cleanliness products, bath soaps, shampoos and conditioners, hair dyes, hair bleaches, and many other product types.